Natural leather in a natural dye blue color. This is 1mm round cord, natural cow leather. 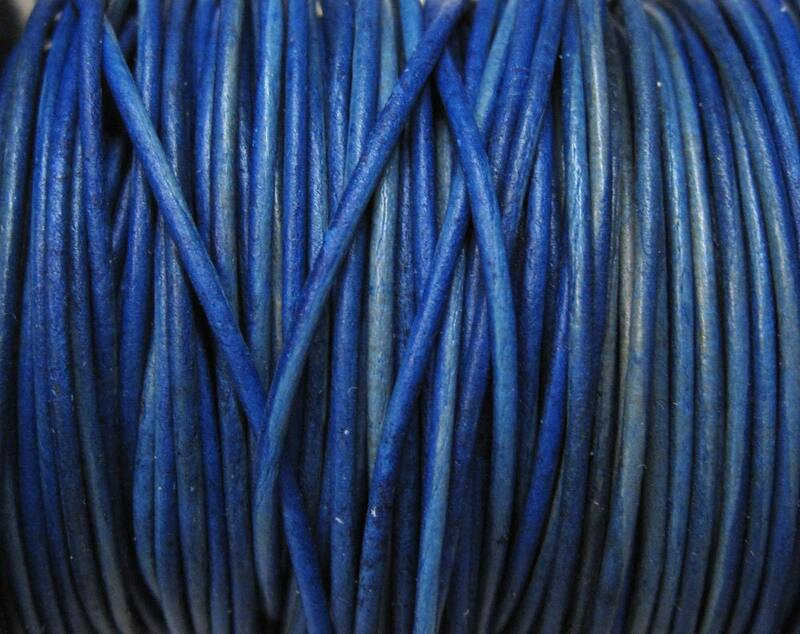 You will receive 2 yards of natural dye blue color round leather cord. Really beautiful color on this cording! This is the only shop that has this particular color and quality. I love this shop :) So many great items to choose from. Thank you.